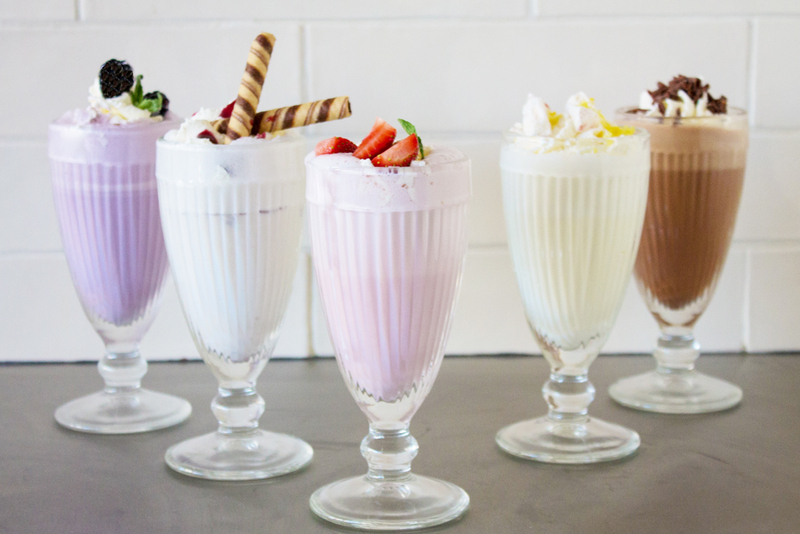 With over 50 freshly handcrafted artisan ice creams, sundaes and milkshakes as well as a range of warm crepes and waffles, we’ve got you covered! 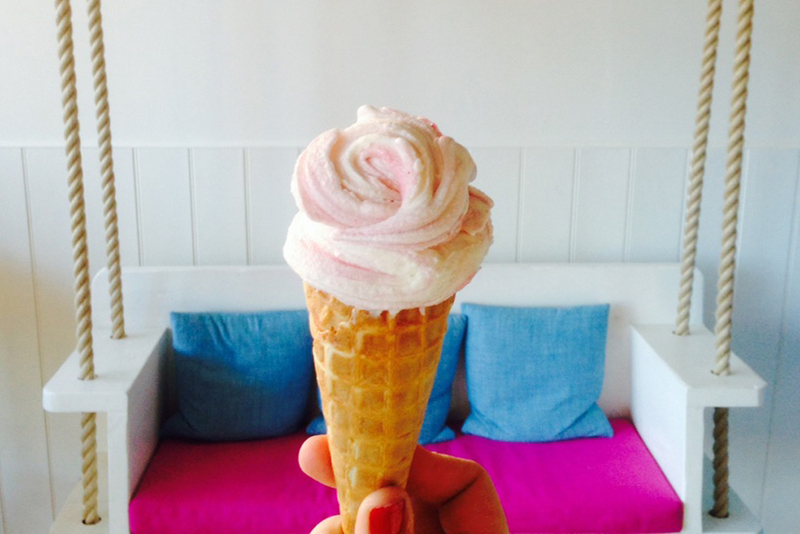 At Milkbar we specialise in handcrafted, gelato inspired treats for all the family. 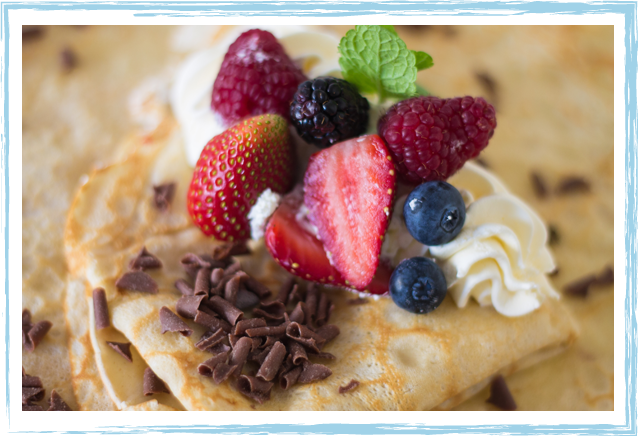 Freshly made every day with organic ingredients, our range of artisan ice creams, milkshakes, sundaes as well as warm waffles and crepes, will not fail to tickle your taste buds! Our handcrafted gelatos are also available to buy as 1 litre takeaway tubs – perfect for any party regardless of your age! 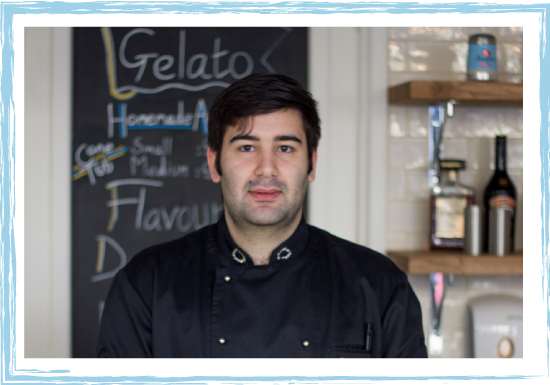 Our head chef and gelatiere, Gianfranco (pictured) has extensive experience in the industry, coming from a family of gelatitions with generations of expertise. 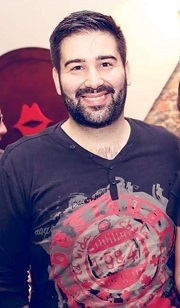 From Calabria, Gianfranco plied his trade at the prestigious Carpigiani Gelato university in Perugia, as well as further study in the sister school in Bologna. 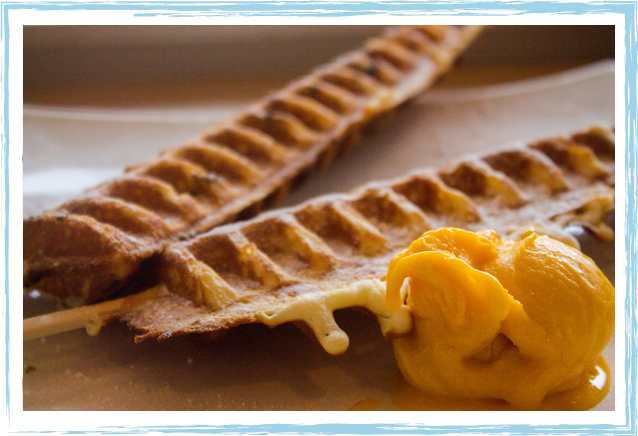 Take a look at his latest recipes here! If you’ve ever visited Italy, you probably experienced creamy, delicious gelato; and maybe you assumed that the only reason it seemed richer and more intensely flavoured than our ice cream in the UK was because you were enjoying it on the foot of the Spanish Steps in Rome, rather than around the kitchen table back home. While ice cream has a minimum of 10 percent fat, gelato is made with a greater proportion of whole milk to cream, so it contains around five to seven percent fat. 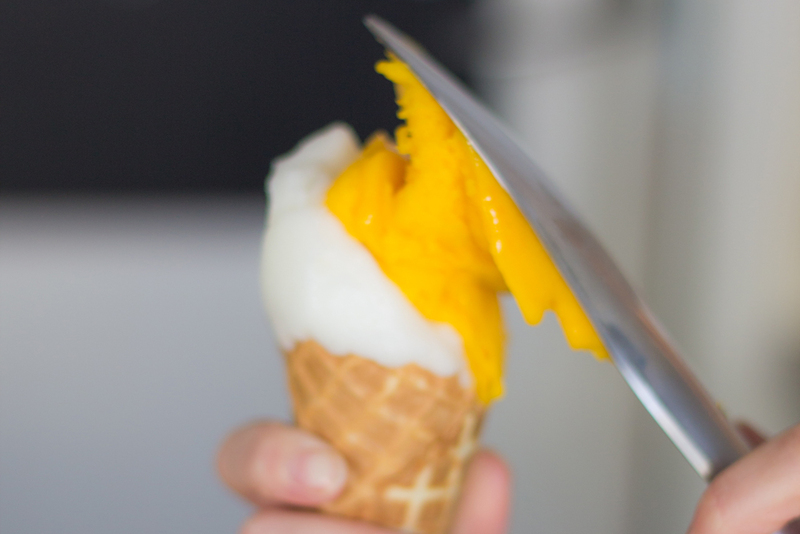 Gelato is churned at a slower speed than ice cream, so it’s denser because not as much air is whipped into the mixture. (Gelato contains about 15 to 20 percent air, while ice cream can contain as much as 80 to 100 percent air). 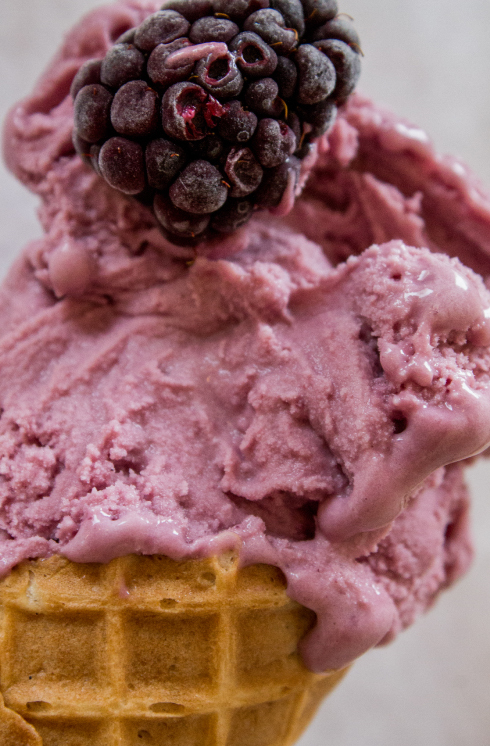 While ice cream is typically served frozen, gelato is typically stored and served at a slightly warmer temperature, so it’s not quite completely frozen. Since there’s not as much fat in gelato, it doesn’t coat the mouth in the same way as ice-cream. So the flavours are more intense. 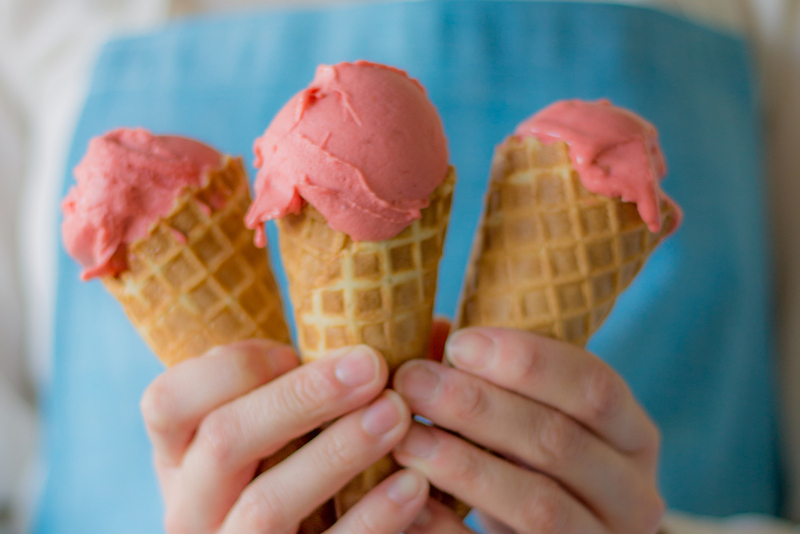 One thing ice cream and gelato do have in common: you won’t be able to resist just one more scoop! 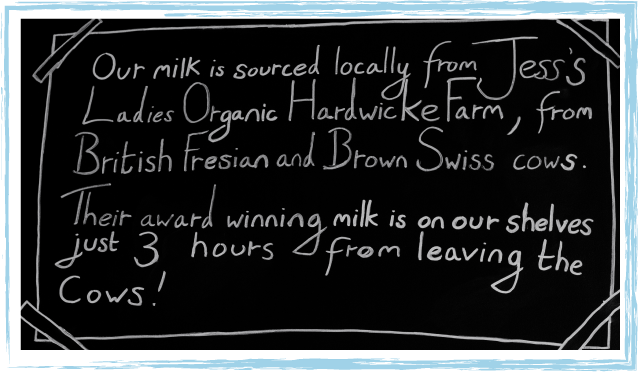 Our milk arrives daily from Jess’s Ladies Organic Farmed Milk. Jess Vaughan and her 80 cows are the creators of this delicious, natural milk. ‘Ladies’ is indeed the right word for her herd of organically reared cows who are treated like intimate friends. Jess knows every cow by name and the whole herd is descended from Jess’s Grampy’s original three cows from 1955 – Bluebell, Gypsy and Glow-worm! The natural farming methods used on Jess’s Hardwicke Farm in Gloucestershire produces a milk which is not only organic, but is totally traceable and, because it is not mass produced, does not undergo some of the treatment processes that you often find with milk – this results in a milk with superior taste, optimum health benefits and which is easily digested. So impressive is Jess’ produce that she was nominated as a Cotswold Food Hero in the 2010 Cotswold Life Food & Drink Awards. 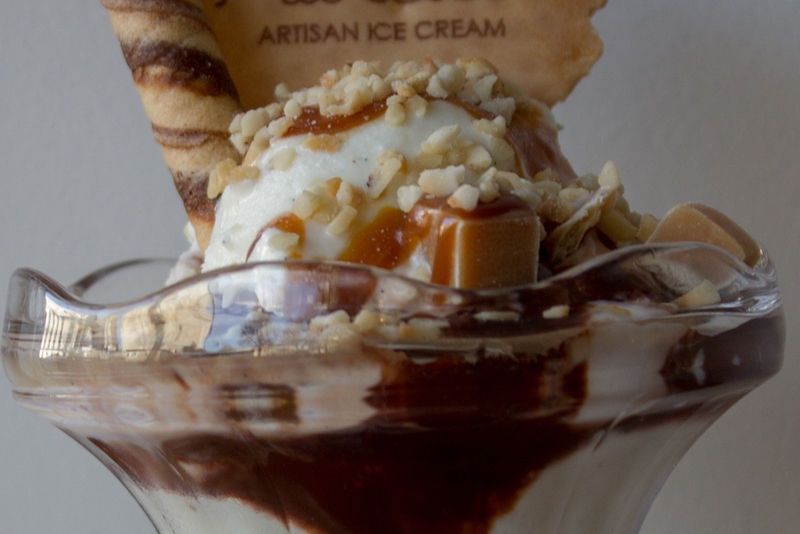 Gianfranco creates a range of delicious artisan gelatos each day. Our fresh, rich and creamy gelato is homemade in small batches using natural ingredients and Jess’s organic milk from our local dairy. 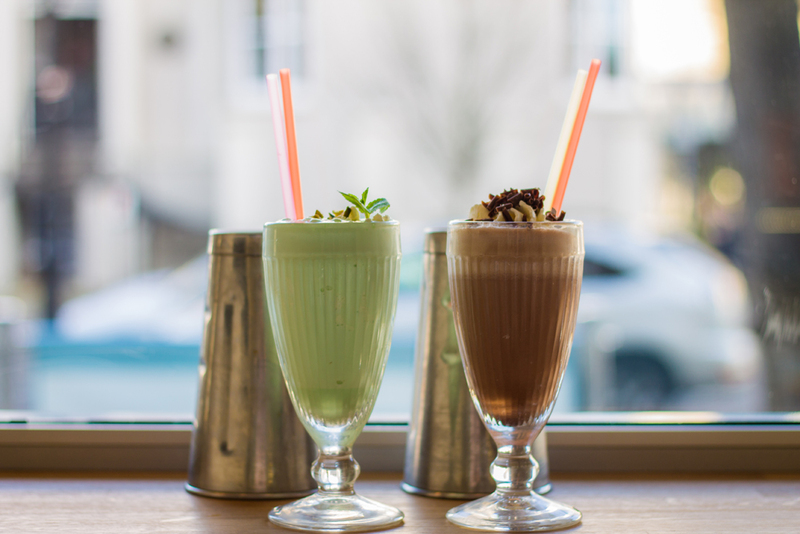 We offer sixteen constantly changing flavours on a daily basis from mouth watering white chocolate & rosewater, salted caramel, pecan & maple, pistachio, organic yoghurt, peanut, oreo, nutella, kinder bueno or baileys to our house special organic milk gelato, with weekly guest flavours as well as new flavours being developed in our kitchen as the seasons change. Our gelato is available to enjoy in waffle cones, tubs or larger takeaway boxes for birthday or dinner parties or just as an indulgent treat! As well as creating freshly handcrafted gelatos each morning, Gianfranco also creates a range of mouth-watering, dairy and fat free sorbets using 100% fruit as well as our house special chocolate (70%) sorbet-an intense chocolate experience. 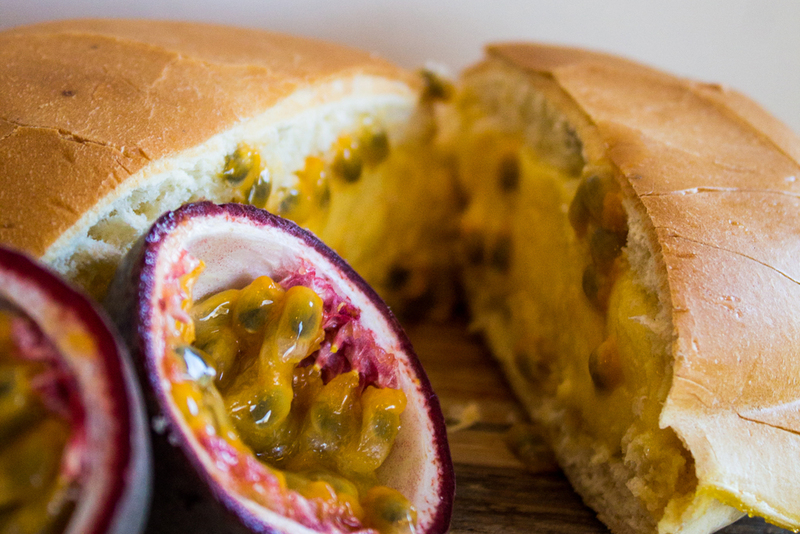 Other examples of delicious guest flavours, changing on a daily basis, include passionfruit, zesty lime, mango, mandarin, lemon and spiced pear. If you’ve been looking for that perfect ice cream sandwich you may remember from a trip abroad, Gianfranco has the answer! 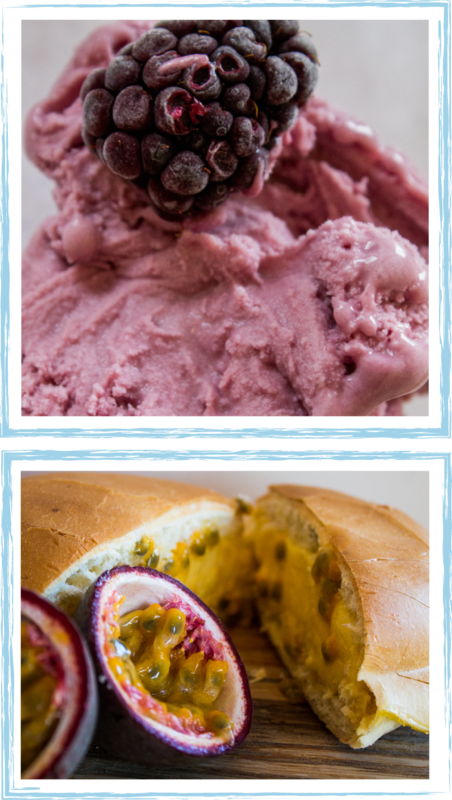 Our Gelato Paninis are the perfect ice cream sandwiches- freshly handcrafted gelato in a warm brioche bun….need we say any more! Frothy homemade milkshake made up of 3 scoops of the gelato of your choice, Jess’s organic milk, and finished with cream. 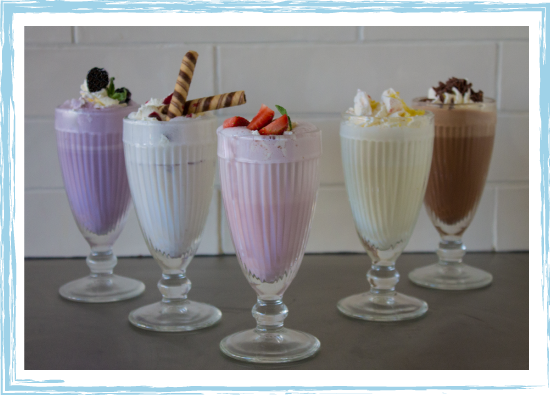 A dairy and fat free alternative to our milkshakes, created with a perfectly refreshing blend of 3 scoops of sorbet and sparkling water. Creamy and sumptuous, this sundae combines 2 scoops of yoghurt gelato and a spoonful of Jess’s organic yoghurt with fresh passionfruit. One of your 5 a day? Sweet, crunchy and flavoursome meringue pieces, 3 scoops of fiordilatte gelato, finished with strawberry sauce, whipped cream and a wafer biscuit. Oh yeah! Forget Made in Chelsea, this is made in Cheltenhtam! Millionaire shortbread, 3 scoops of caramel gelato with chocolate sauce, whipped cream and a cigar wafer. You can’t get more King’s Road! 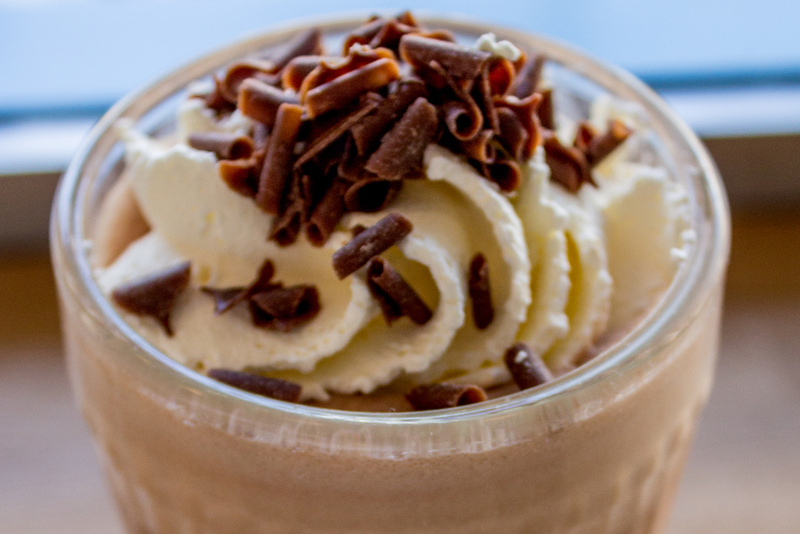 Ever thought what your favourite chocolate bar would taste like when recreated as a sundae – think no further! 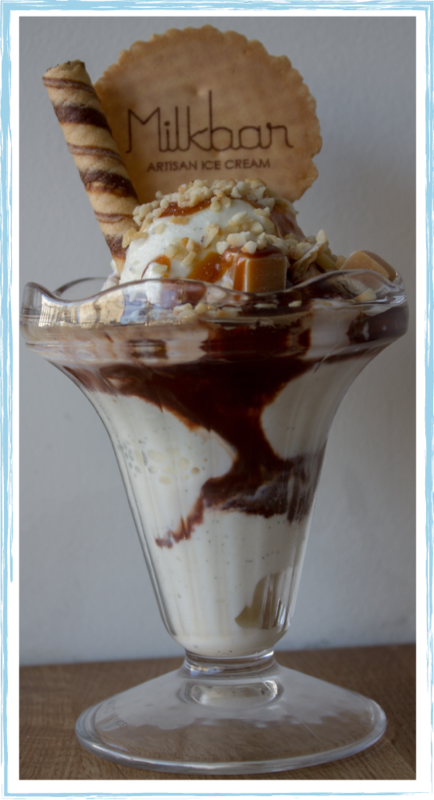 With 3 scoops of peanut butter gelato, slices of the original snickers inspiration, toffee sauce, whipped cream and a wafer biscuit we guarantee you wont go back! 3 scoops of hazelnut gelato sprinkled with Ferrero Rocher chocolate pieces and smothered in chocolate sauce, whipped cream and hazelnut sprinkles, this is a rich feast for a rich palate! 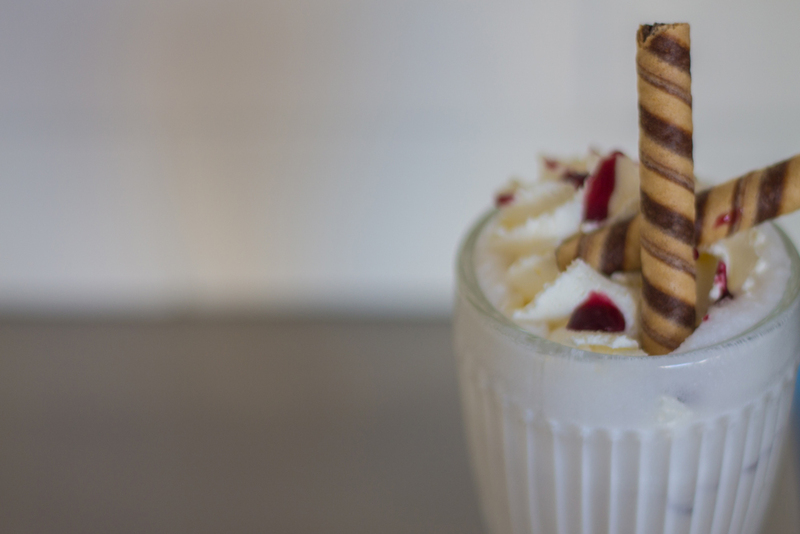 The American classic – with 3 scoops of vanilla gelato, cookie crumble, chocolate sauce, whipped cream and baby Oreo biscuits you’ll taste the stars and stripes from the heart of Cheltenham! 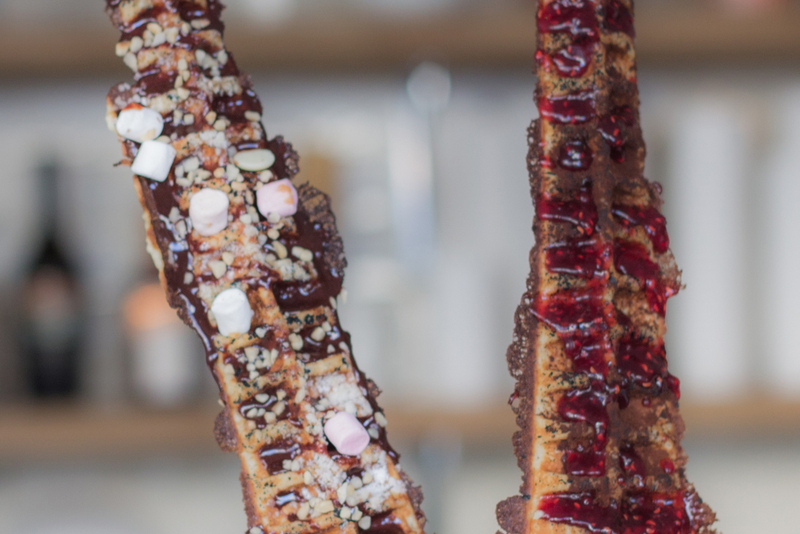 Freshly created hot waffle on a stick, complimented by your choice of sugar, cocoa or cinnamon Then, (as if that wasn’t enough!) choose from salted caramel, hot chocolate, homemade jam, honey, or maple syrup sauce. 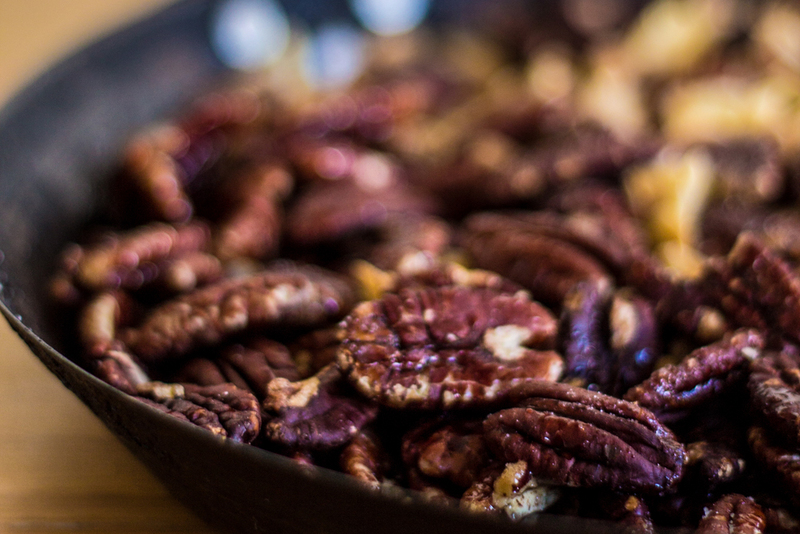 While we can guarantee an unrivalled sweet treat, we might not be able to guarantee a low calorie bite! 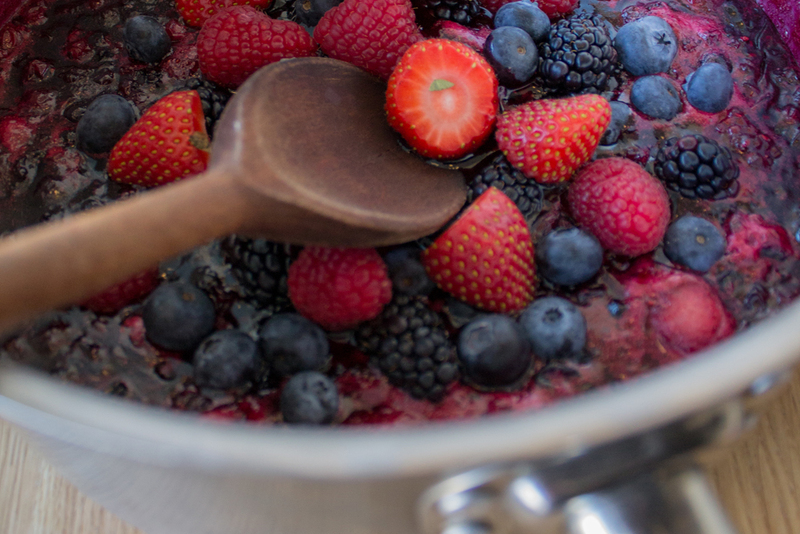 What makes me happy is just…..pints of ice cream. 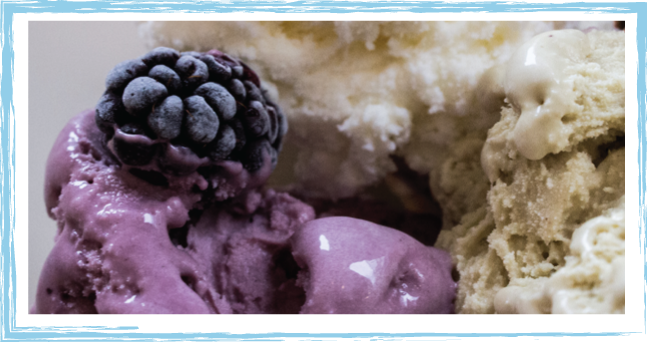 Our handcrafted gelato is available to buy in 1 litre takeaway tubs – perfect for any party regardless of your age! 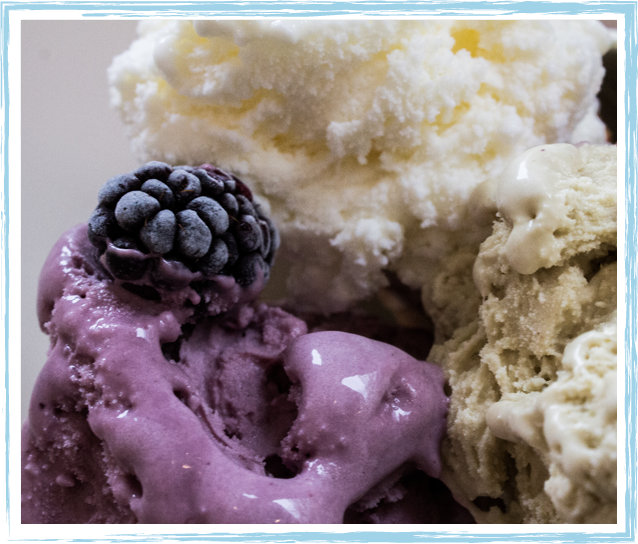 Take our delicious, handcrafted gelato home to share with your friends and family! If you’re having a birthday party, dinner party, or even a family get together, why not treat your family or guests to our delicious handcrafted gelato or sorbet. We have a variety of flavours daily to take away in 1L containers. We’ve spared no expense on our polysterene insulated takeaway containers so your gelato or sorbet will stay chilled for journeys for up to an hour. 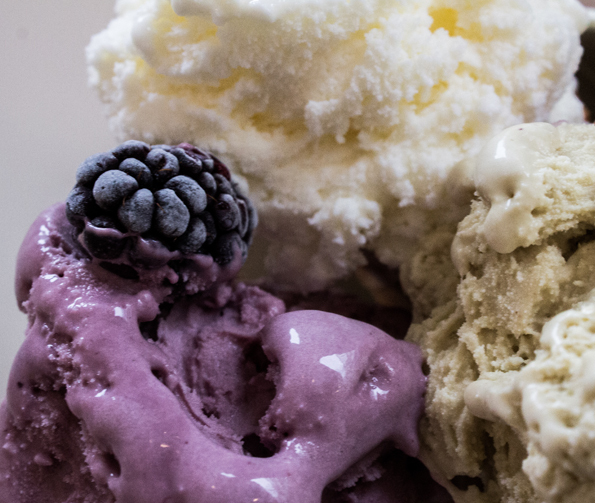 For larger volumes or more meticulous orders, call us to discuss your order on 01242 228896 or drop us an email at [email protected] specifying the volume and flavour of gelato you are hoping to get your hands on and we will get back to you as soon as possible. 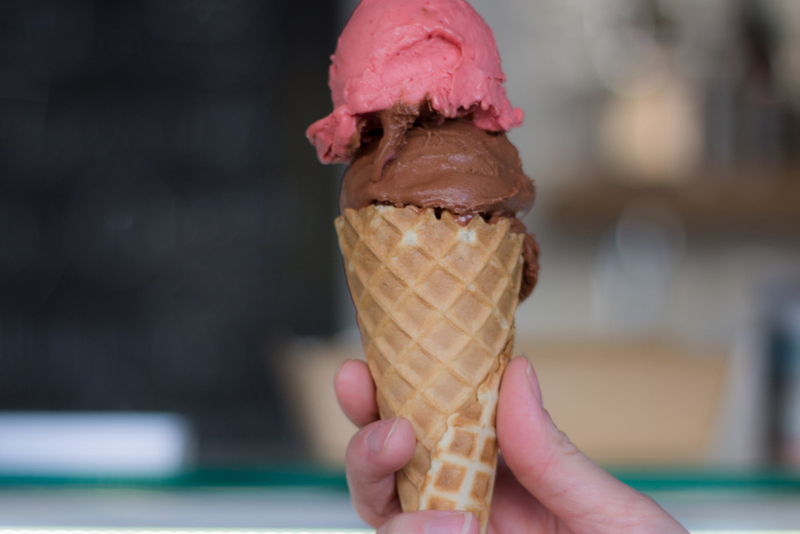 Simply collect a stamp every time you spend £5 at Milkbar and we will reward you with a free gelato cone or tub for every 10 stamps collected*. *Terms and Conditions: The stamp card is only valid at Milkbar. Stamps will be issued for every £5 spent. 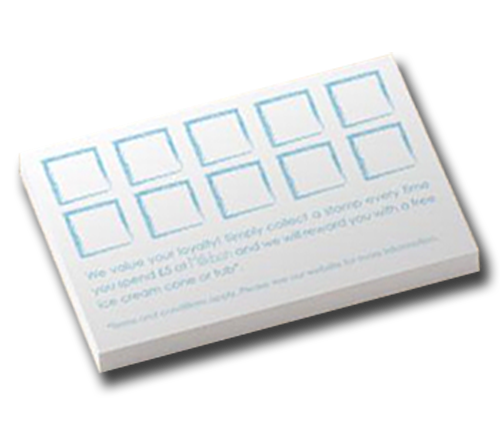 For example a £7.50 spend will earn one stamp. Customers must present the stamp card to collect stamps at the time of purchase as we will be unable to issue stamps at a later date (even if a receipt is produced). 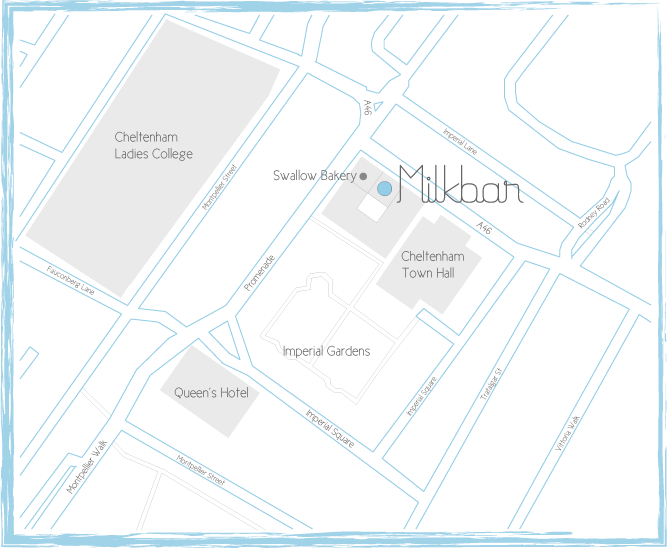 Milkbar reserves the right to stop issuing stamp cards and to withdraw the stamp card scheme at any time and on such notice as it shall deem appropriate. To claim a free small ice cream tub or cone, the customer must complete the stamp card with ten stamps and present it in store. Stamps from separate stamp cards may not be combined. The stamp card must be surrendered. Photocopied, altered or defaced cards, and cards that have not been both initialled and stamped per transaction, will not be accepted. The stamp card cannot be exchanged for cash. The stamp card cannot be part exchanged for an alternative Milkbar product. Use of the stamp card confirms the customer’s acceptance of these terms and conditions. 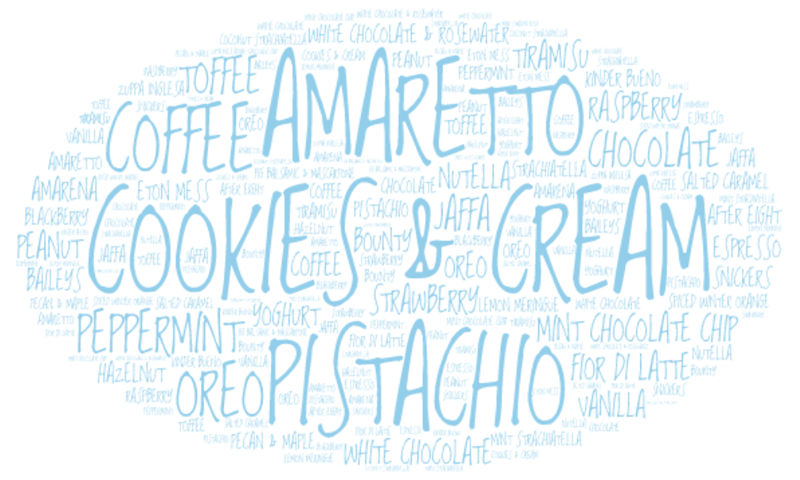 When creating new ice cream flavours, getting our customers involved really matters to us. The best suggestions will be added to the menu! WE ICE CREAMS. 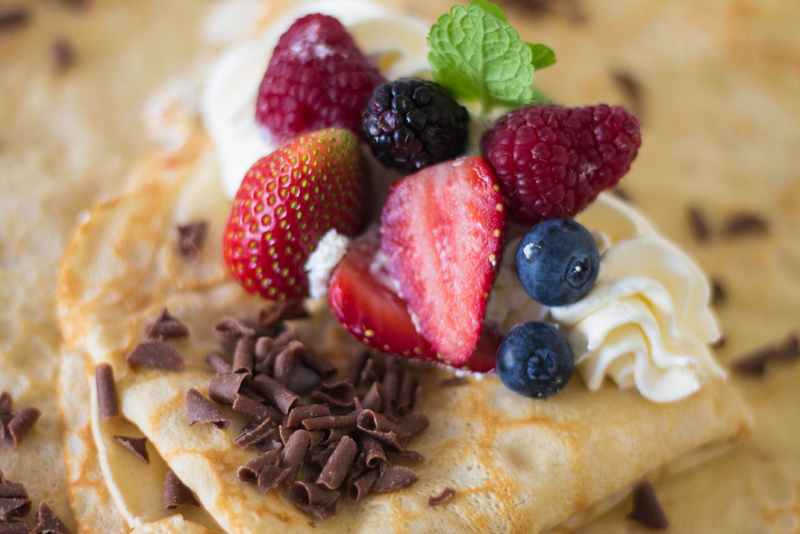 WE CREPES. WE WAFFLES. WE MILKSHAKES. WE SUNDAES. WE GELATOS. WE SORBETS.